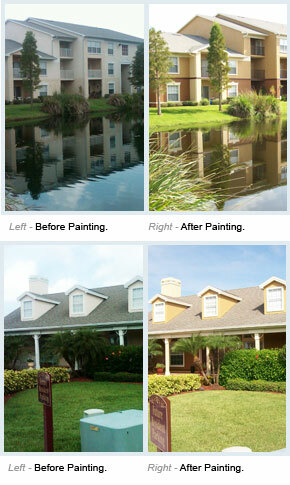 With a bold color scheme in hand AAPCO performed this repaint project in Florida ahead of schedule and right on budget. The scope of work included significant stucco and drywall repairs, retexturing and a full repaint of the property. 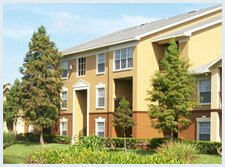 All of the residential buildings, detached garages, carport structures and multiple amenity buildings were painted. We also repainted a large stucco perimeter wall, PVC perimeter fencing and numerous aluminum fences throughout the property. Due to AAPCO's standard processes & procedures, and high level of oversight, this project was executed with very little inconvenience to the residents and staff. The appearance of the property was transformed as seen in the photos. The appearance also had a transformation on the amount of traffic at the property and ultimately, occupancy and revenue.